When German car magazine Auto Bild said yesterday that the BMW X3 diesel produced more than 11 times over the legal emissions requirements in Europe, they didn’t want us to think BMW was circumventing any sort of test. Oh no no no. There was no evasion on BMW’s part intended, they want us to know. 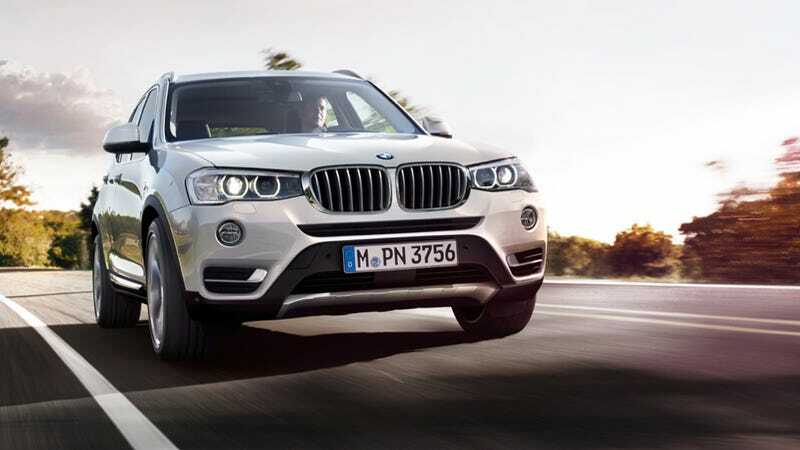 Rather, the BMW X3 just, well, scores incredibly bad on one test that was conducted by ICCT, the same group that caught Volkswagen cheating on emissions tests. A lot of this may seem like splitting hairs, but it’s actually important. Much of Volkswagen’s criticism is coming not from the fact that they were selling dirty diesels (even though that’s also bad), but that they installed a specific system in the computers of its cars that would recognize when a test was being conducted, and would then change the engine management just to make sure the car passed the test. It was all very sneaky. And BMW is denying it ever did something like that, and Auto Bild isn’t saying that BMW did. And furthermore, BMW diesels passed other ICCT tests with flying colors.